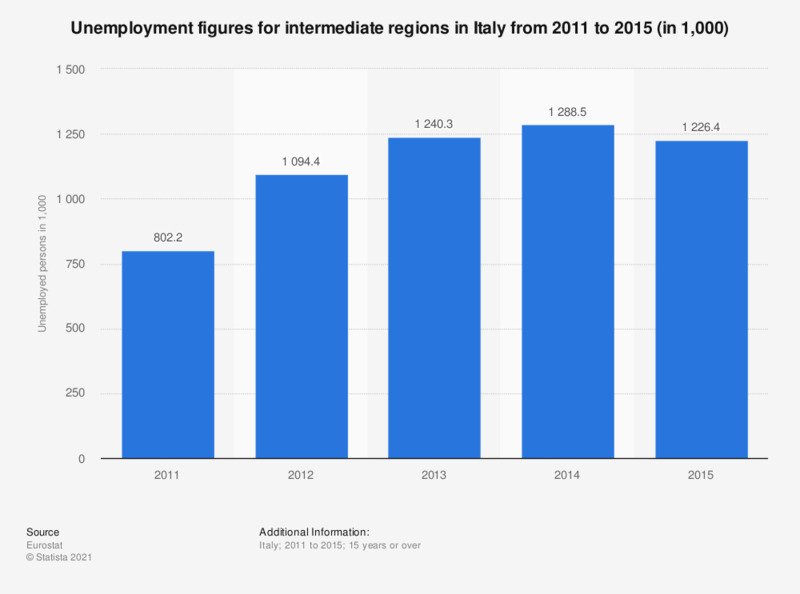 This statistic displays the unemployment figures for intermediate regions in Italy from 2011 to 2015. The number of unemployed people for intermediate regions in Italy in 2015 was of approximately 1.2 million. The source adds the following information: "Urban-rural typology statistics use the new urban-rural typology. Regions are considered intermediate if the share of the population living in rural areas is between 20 and 50 percent."